he actress, who recurs as record company assistant Hailey on ABC's country music soap Nashville, joins a cast that includes ER's Ming-Na as Agent Melinda May, The Avengers' Clark Gregg as Agent Phil Coulson, Killing Lincoln's Brett Dalton as gruff rising star Agent Grant Ward, Elizabeth Henstridge as science whiz Agent Gemma Simmons and Ian De Caestecker as tech guru Agent Leo Fitz. 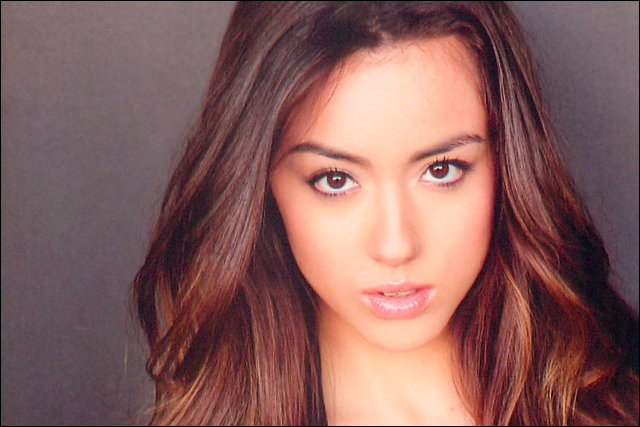 Chloe Bennet is also known as Chloe Wang, and in addition to her acting career, has enjoyed some success with an international music career. Looking forward to seeing her on S.H.I.E.L.D.